Flip a coin. 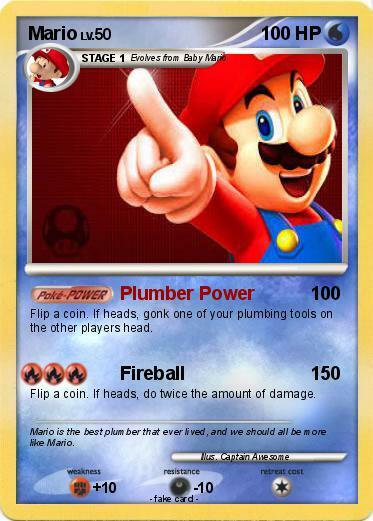 If heads, gonk one of your plumbing tools on the other players head. Flip a coin. If heads, do twice the amount of damage. Comments : Mario is the best plumber that ever lived, and we should all be more like Mario.